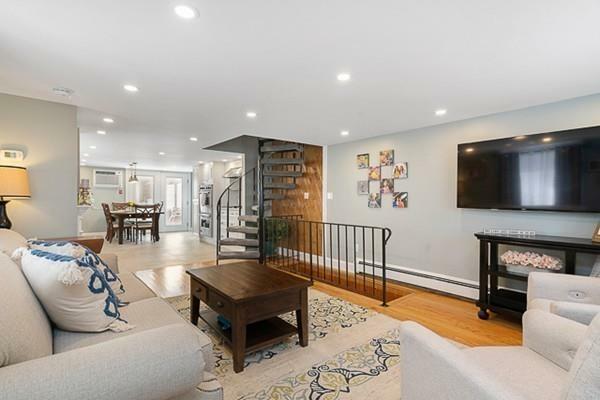 Absolutely stunning open floor plan w/brightlighting,newly renovated kitchen, and customizable backyard. 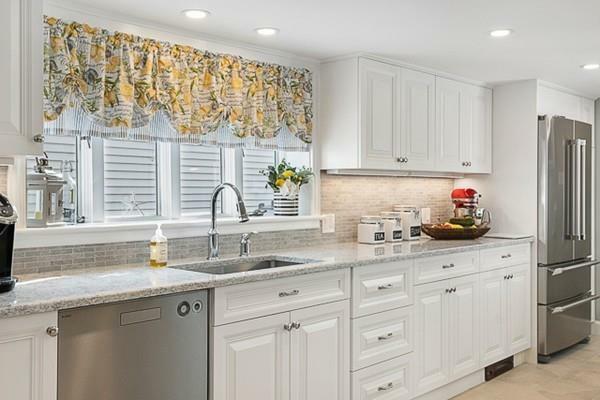 This home features a newly renovated kitchen with meticulous attention to details. 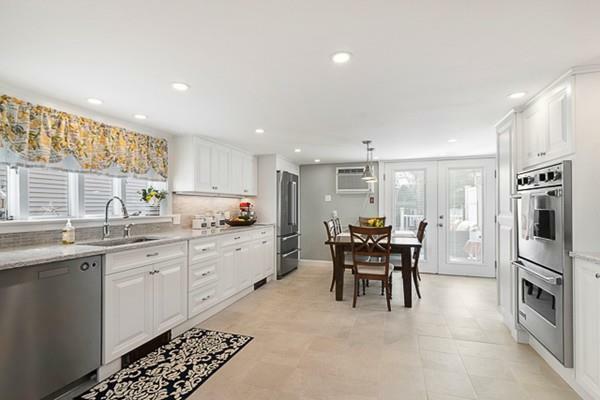 Quartz counter tops, Wolf stove top w/ pot filler faucet, and aViking double oven. Complimentary details oftheBosch refrigeratorand white soft close cabinetry alludes to exquisite taste. Off the kitchen, and into the fenced in back yard, the back patio is perfect for summer entertaining.Spend quality time with friends and family in the33x18 above ground pool, patio space or screened in gazebo. The finished basementprovidesadditional living space, laundry and plenty of storage with the possibility of a half bath. Improvements include:Commercial grade built-in AC (25,000 BTU's),roof (w/in 5 yrs), Hot water heater (2018),Furnace (2011), and anelectric update (200 Amps). 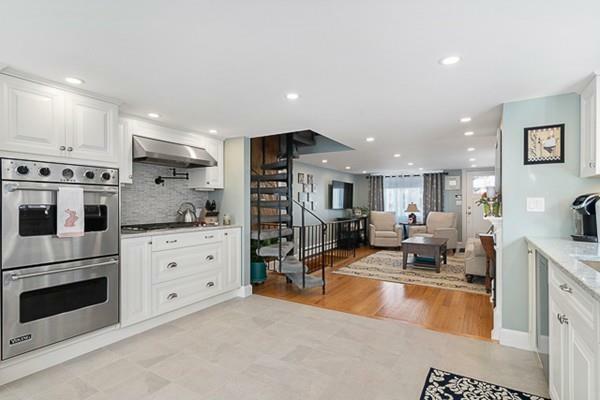 Excellent location, just off 93, 7 min drive to Assembly Row, 101 bus to Sullivan station (Orange line to Boston). Listing courtesy of Casey Craig of Berkshire Hathaway Homeservices Warren Residential. Sq Ft Disclosures Additional Square Footage in Finished Basement. Listing provided courtesy of Casey Craig of Berkshire Hathaway Homeservices Warren Residential.